There is just no better market/shop to go shopping than a market/shop with plenty of options. That is what the Hong Kong (Africa-focused) smartphone maker is already turning into. Thanks for it latest entrance into few new markets like India, the company has been dishing out different series of smartphone lately. And just like Samsung with almost limitless smartphone options, “a smartphone for everyone” is becoming Tecno’s latest priority, and a good example to demonstrate that, is the recent launch of the Tecno Spark K7 and the Spark Plus K9, two smartphones, (which aside the larger 6.0-inch on the K9), tend to offer users almost similar physics as well as almost different internals. And while I do hope to lay my hands on the bigger Tecno Plus K9 soon, the Spark K7 has been with me for more than a week now. And for the purpose of this review, I’ve been putting same through different testing and app examinations, both compatible and non-compatible ones, and as you would expect; impressive and disappointing performance here are there. 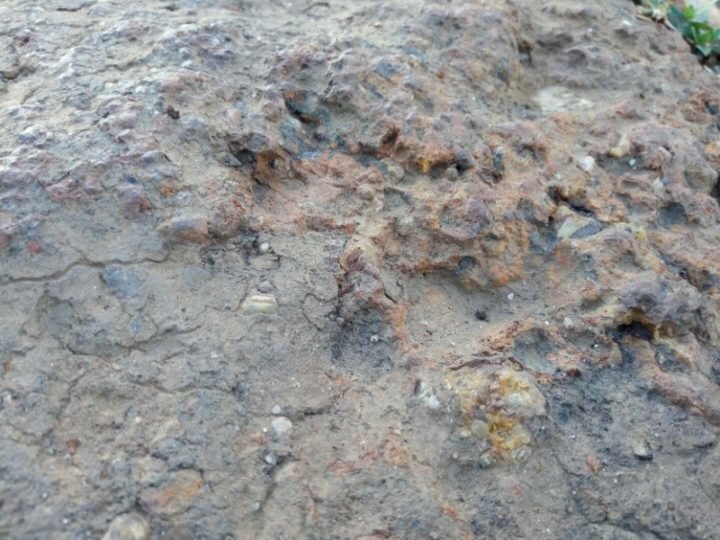 Wondering what were the major areas the K7 disappointed us? Well, we’ll tell you that, but let have a quick glance through the specifications of the smartphone below. In the Unboxing Review and Antutu Benchmark I wrote earlier, I tried to emphasize the absence of an octa-core processor as claimed by the companies official website, and promised to email Tecno and update their reply in this review. Well, I’ll just update this post as soon as that updates are in. So let see how well the latest mid-range smartphone offering from Tecno performs in our review. The unit of the device I received came in Phantom Black, hidden in a total orange box, don’t know what concerns the K7 with orange though. The box contained the K7, and few accessories, and you can read the detailed Unboxing article here. 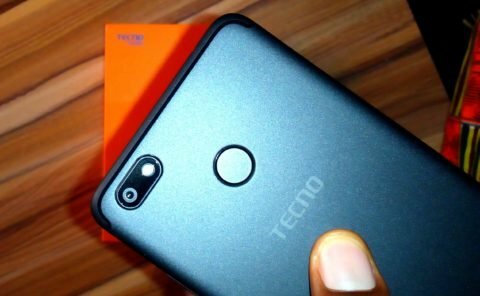 The Tecno K7 features a very simple but non-unique design that feels premium-ly copied from the likes of Apple iPhone 7 Plus, or the Oneplus 5 smartphone. Upfront is a 5.5-inch HD display. The left and right bezels seem very OK for a device of this range, but the upper and lower bezels looks a bit too tall, making the device, some inches higher than my older Cubot H2. Under the screen are the usual Android hardware capacitive navigation buttons. The buttons are very shiny and reflects light easily, but they aren’t backlighted. 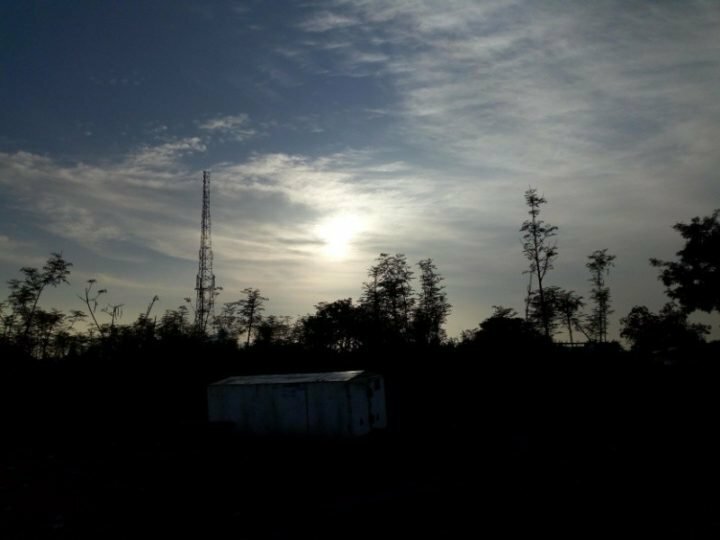 At first, we find usage at night a bit difficult, but don’t worry, with consistent usage, you’ll be used to them, and be able to locate them even without looking. To the top of the device is a front-facing 5-mega-pixel ‘selfish’ camera and it LED assistant, alongside the speaker grill, and the ambient light sensor, which look so much like a dedicated notification light, but NO! The Tecno Spark K7 is got not notification light. On the right hand side is the power button and the volume rocker, nicely blended into the device. This buttons have great feedback. At he top of device is a lonely 3.5 mm audio jack, while the base of the device hosts a USB Type-C, (clearing my throat, excuse me) USB 2.0 port and the microphone. Nothing on the right hand side. 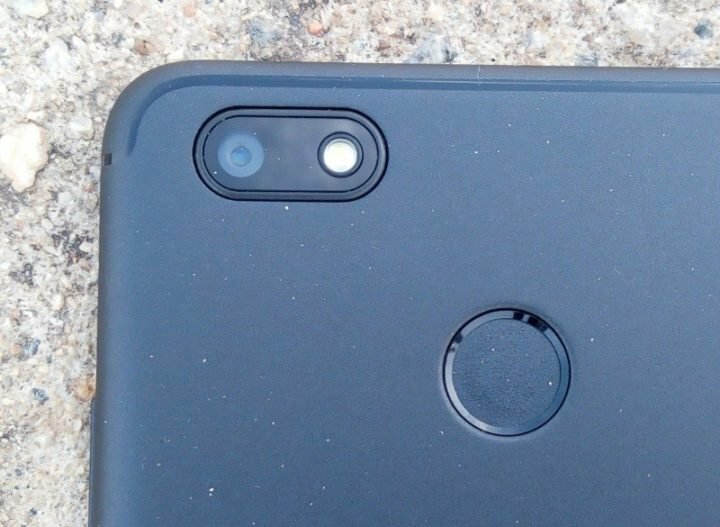 Turning to the back of the device, you’ll immediately notice the rear fingerprint scanner below what looks like the dual rear camera design on the Apple iPhone 7 Plus. Just that the second camera in the case of the Spark K7, is a single LED flash, seating beside the 13-megapixel main camera. 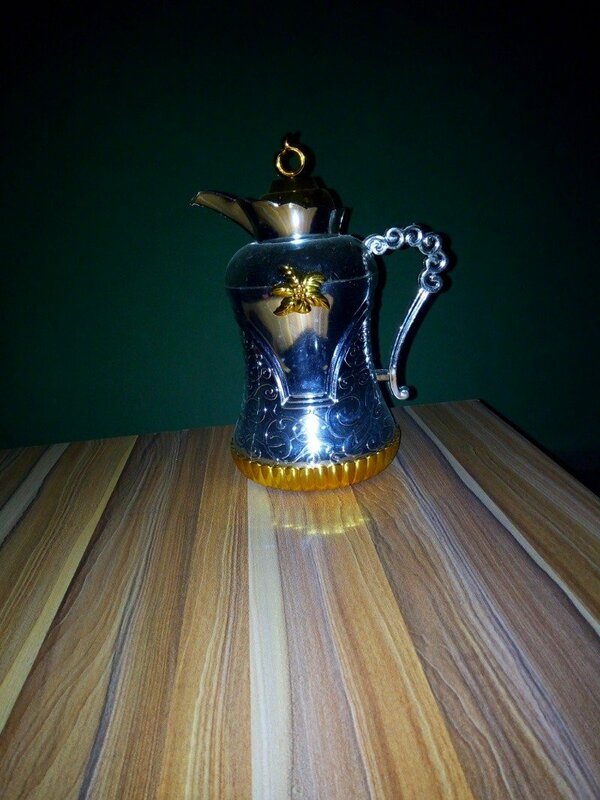 This is where you’ll begin to appreciate the built quality of the K7. There’s even this antenna-like ring traveling through the top and bottom of the smartphone, giving the K7 the look of a premium metal built phone, but no, it is plastic, nothing metal. 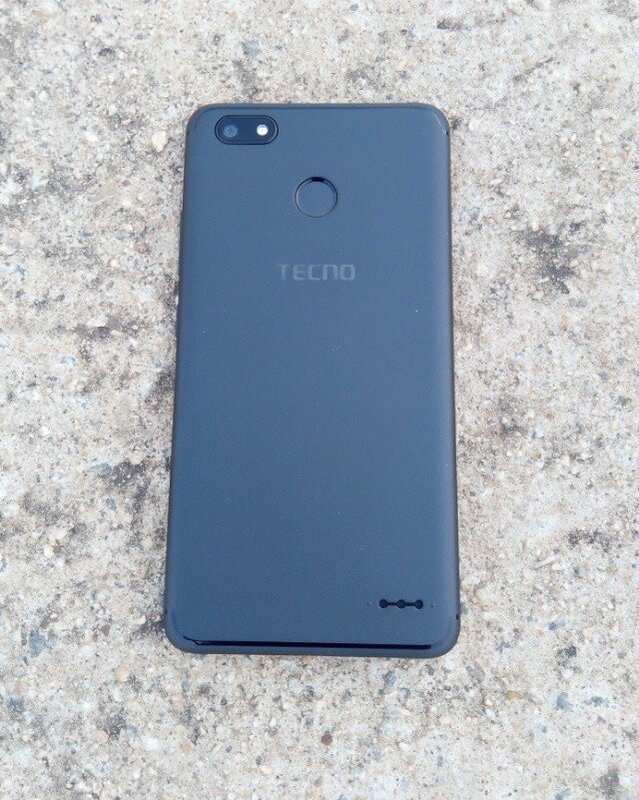 It just that, Tecno decided to choose a premium plastic material, which is a thump up for them. 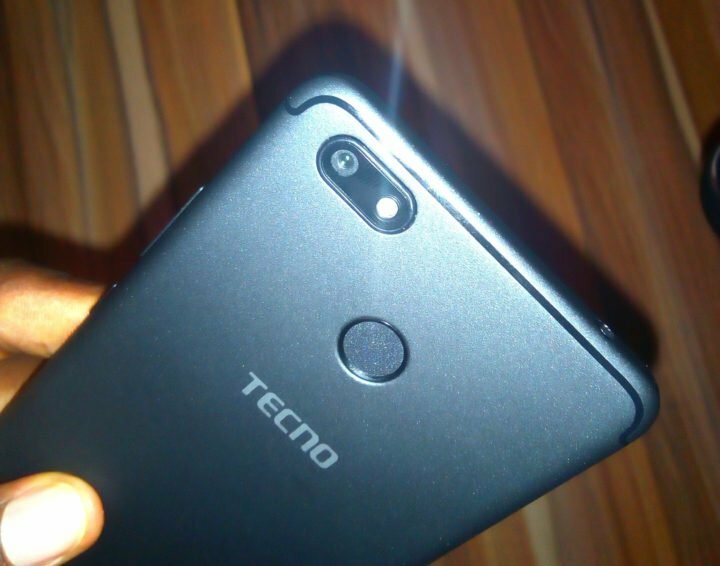 The Tecno logo is just below the fingerprint scanner, and at the base, to the right, is placed the loud speaker which gets really muffled when placed on a soft object. Taking of the back cover, you’ll see the non-removable 3000 mAh battery covered in metal, a dedicated slot for microSD card upto 32GB, and of course the dual micro-SIM slots. 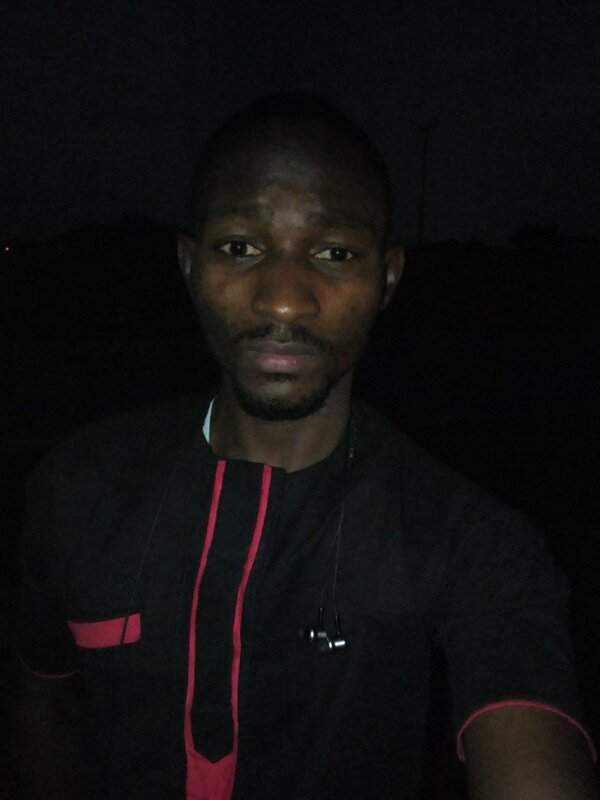 In all, the built quality of the Tecno Spark K7, is very OK. Sighting the device from afar or even picking it up, the first impression you’ll get won’t communicate cheap at all. In fact, the contrary is the case, although we would have appreciated more originality on the part of Tecno. The display on the Tecno Spark K7, is a 5.5-inch HD IPS display, with 1280×720 pixel resolutions, which translate into 267 pixels per a single inch (PPI). I did not have much issues viewing items through this display. Color reproduction is at par with device of similar price tag. In fact, overall indoor usage was perfectly OK. Of course you won’t see icons and text painted on the screen like premium smartphones with AMOLED panels, but what we got is worth the money. Take the K7 outside, and you’ll immediately notice how reflective the glass panel is. Usage under direct sunlight is very possible, but get ready to be tilting the device here and there occasionally. Adoptive brightness is also doing it job very well, although I do always leave it deactivated especially when I’m indoor, why? Because I think the ambient light sensor which controls the auto brightness is too sensitive in the case of the K7. 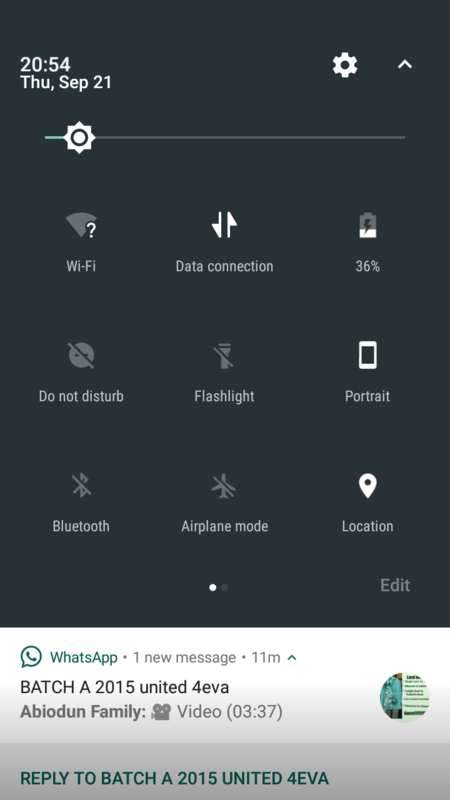 It adjusts the brightness of the device just instantly when higher or lower light is detected. I personally think ambient sensors should be designed to observe change of brightness, then give at least 100 to 150 milliseconds before adjusting the brightness, by this, your eyeballs will be less affected, especially when the incoming brightness is not from a stable source. In all, the display on this device is far more OK that it not, except for the extra reflective glass. As for storage and RAM, the Tecno Spark K7 we are reviewing is hosting 1 GB RAM and 16 GB internal storage. 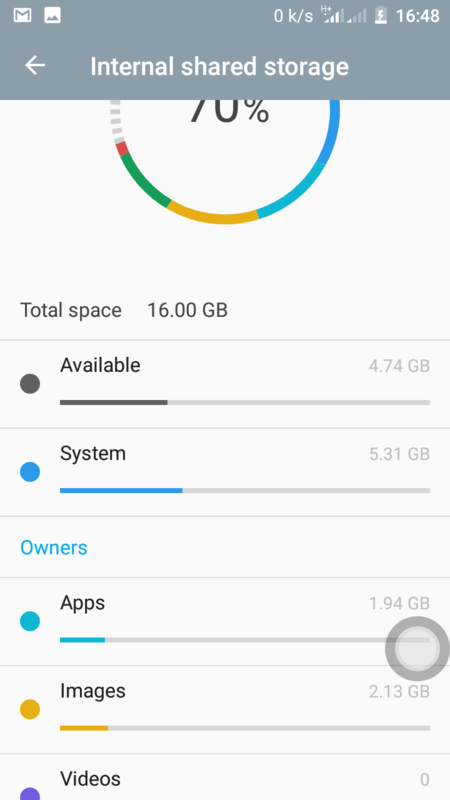 5.3 GB of the internal storage was preoccupied by the software aspect of the phone, leaving users with about 10+ GB. RAM management was not an issue on this device as multitasking was a bit smooth than some smartphones of similar price range. In fact Tecno did a great job as to RAM management on this device. With few background apps, the RAM do get occupied up to 800 MB. You could easily multitask smoothly between 4 to 5 applications, but the initially opened applications will begin auto clearing as soon as you try opening another one. In my case, Chrome is my testing companion and, I could easily work on 3 to 4 tabs at the same time, which is good. But don’t expect buttery smooth performance though, cos processor factor is another thing. On the Processor department, well, Tecno still chose to offer the K7 with the already aged and almost outdated Mediatek MT6580. This is a 32-bit Cortex-A7 arm processor clocked at 1.3GHz. If it was back in 2013/2014, this would have been a great processor. But if it were to be then, believe me the K7 will retail above $200. As for performance, nothing stellar; Antutu v6 and Basemark OS II, which were the only Benchmarking apps I ran, gave just 24,627 and 146 respectively, making the Tecno Spark K7 to fall behind the Infinix Hot 5. I think this is one of few midrange smartphone from Tecno with fingerprint scanner; I’m not sure though. However, I must say that I’m not disappointed with the rear fingerprint scanner on this device. Setting the fingerprint scanner up was no issue at all. 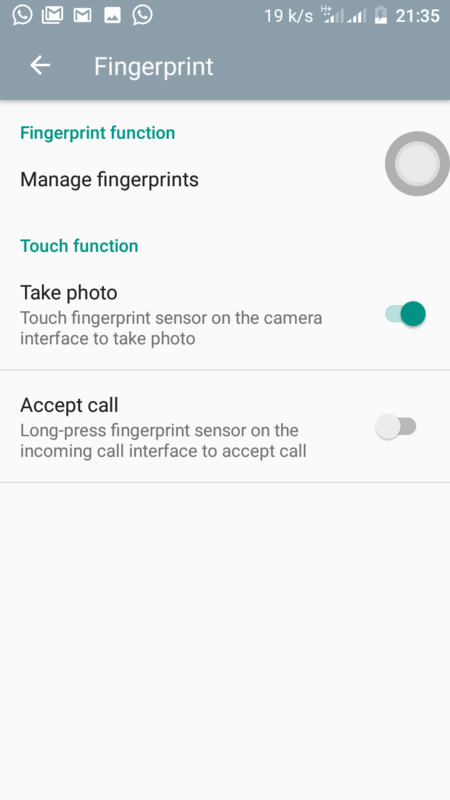 The scanner can record up to 5 fingers, and when this is properly done, unlocking the device won’t be much of a problem. Although, in 10 unlock trials, I do get maximum 2 or 3 failures, depending what’s on your finger (like water) and or, how well you place it. 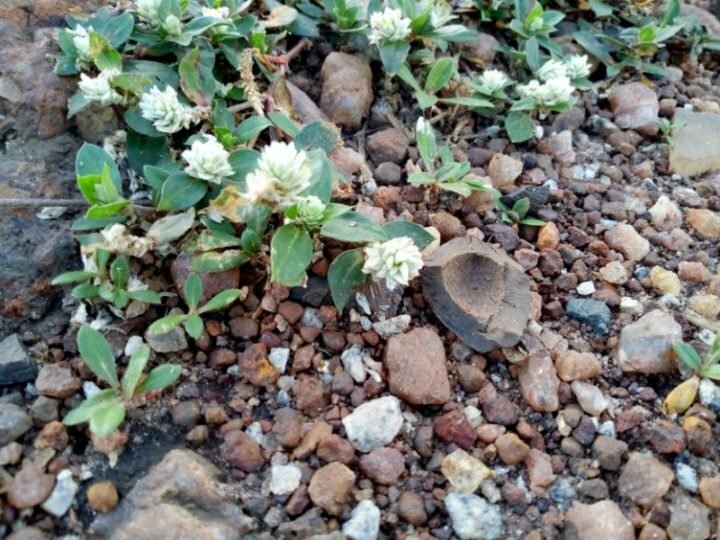 Online payment among few other things. The Spark K7 under review is load with Android 7.0 (Nougat) based on Tecno’s HiOS out of the box. I know only few might understand this, but believe me, when Android is not Stock, no matter the optimization of OS and the processor prowess, you’ll still notice lags and kicks here are there. 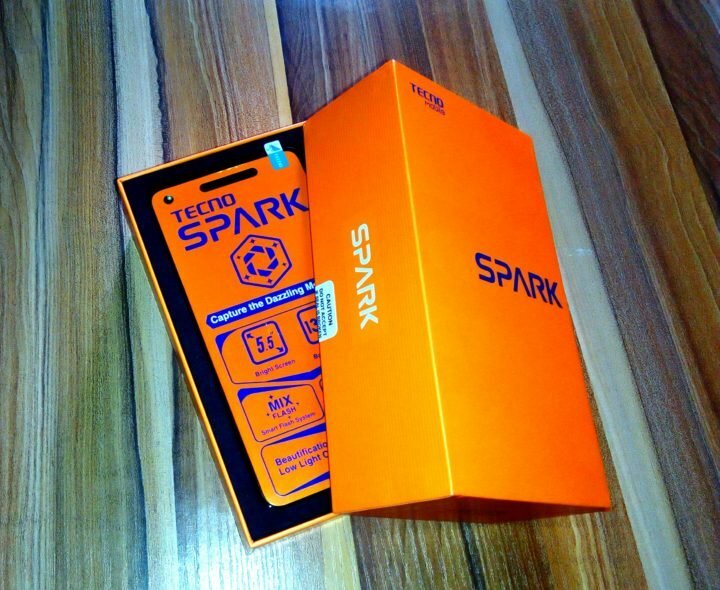 And the Tecno Spark K7 is not an exception. 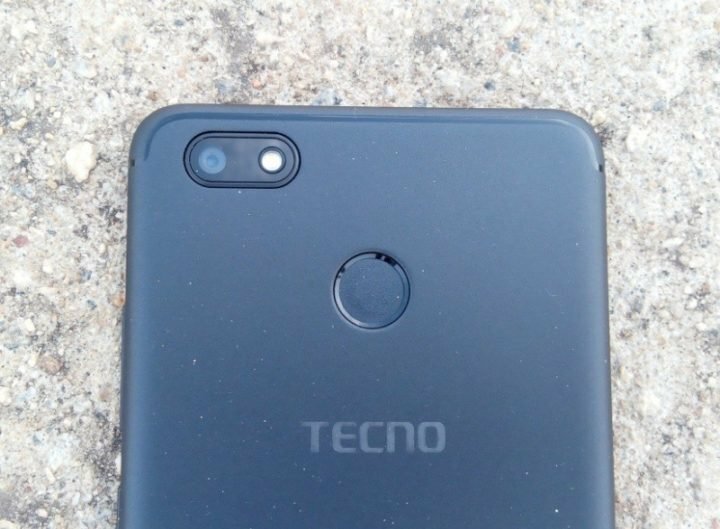 In fact, Tecno was even contracting herself: while all the Benchmark apps we ran confirm the screen of the K7 to be HD (1280x720p) resolution, Tecno OS, in Device=>Settings=>About Phone=>Device Info, says the K7 is got a qHD (850x480p) display resolution. This is a big flop on the part of Tecno software engineers. I mean even if the OS is meant for another device, then copied and optimized for the K7, why not complete the optimization to the bream? While that little omission or commission is got less to nothing with the performance of the phone, it a pointer that one or two internal coding and optimization might be missing it place too. The various apps that came pre-loaded were mostly useful than there were not. Interesting, with the K7 you can work on two applications at the same time, like browsing through a web page and watching a movie. To enter or exit the split screen mode, just press and hold the recent apps button. However, app toggles available in the notification drawer seems few. I was looking for brightness (adaptive display) toggle, couldn’t find it, went to edit drawer, still no show. Setting app was mostly stock, just as was the dialer. However, a lighter OS for a midrange device such as this would have been better. 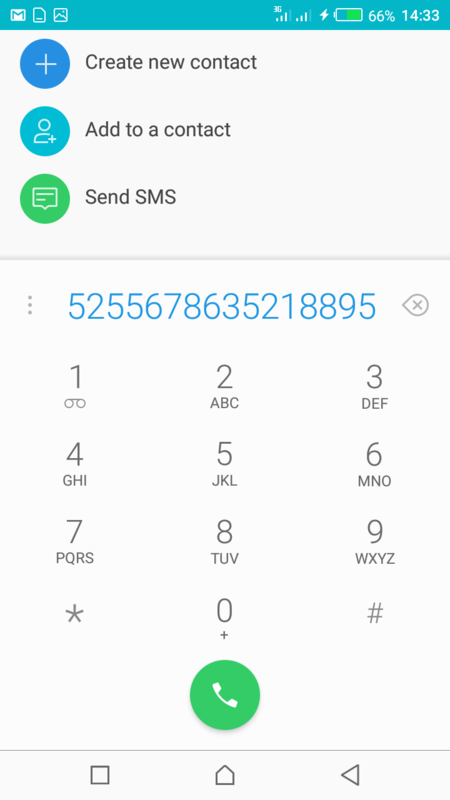 Making and receiving phone calls with the Tecno Spark K7 was not an issue at all, thanks to the stocked Android dialer, which arrange your frequently dialed contacts in a kind of tiles for easy accessibility. The earpiece grill produces a sufficient sound, and you’ll hear your callers reasonably clear. But not clearer than our experience with the Infinix Hot 5 3D Dirac output. In all, the software aspects of the Tecno K7 is acceptably OK. 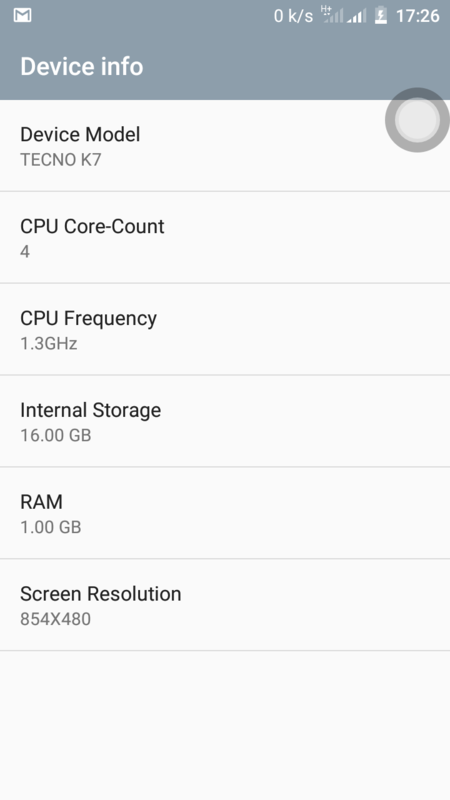 While I was not too impressed by Tecno failure to complete all round optimization of the K7, I think the RAM optimization alone is a big plus. 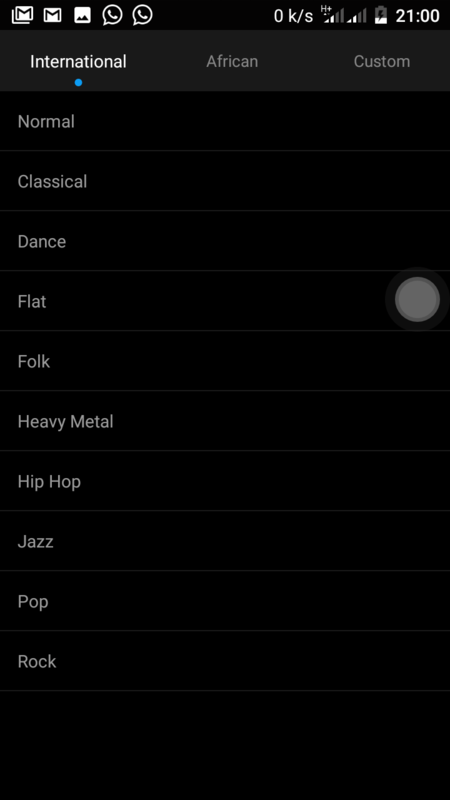 Playing a video or an audio file on the Tecno Spark K7 should not be anything new. 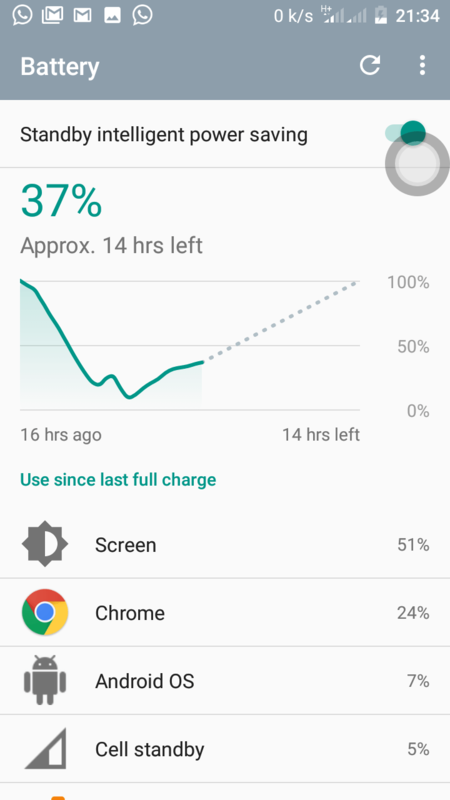 And like I said earlier, the device shares some uniqueness with device running stock Android OS. For instance, the Gallery app (My Pictures), can view all your images as well as your videos. In fact, My Pictures is the only video player out of the box. Although the story is entirely different in the audio section. All audio files are handled by Tecno’s proprietary Boom player. I found the player to be unique in few areas like the built-in equalizer system, so unique. 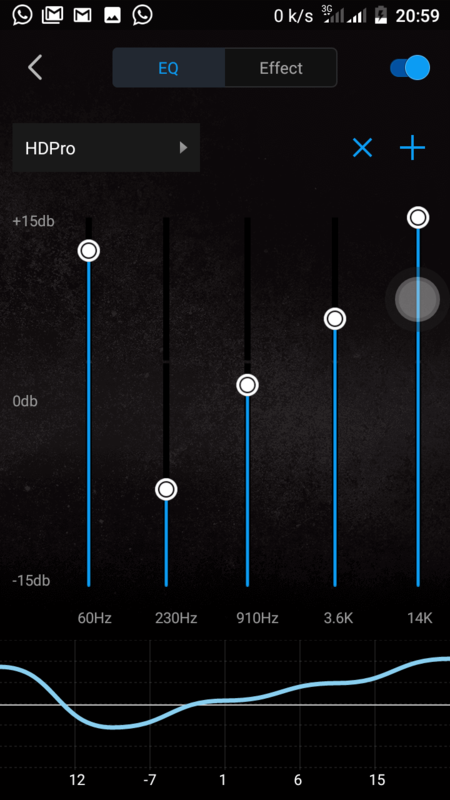 Aside the audio balancing system, the equalizer come with many unique preset out of the box. 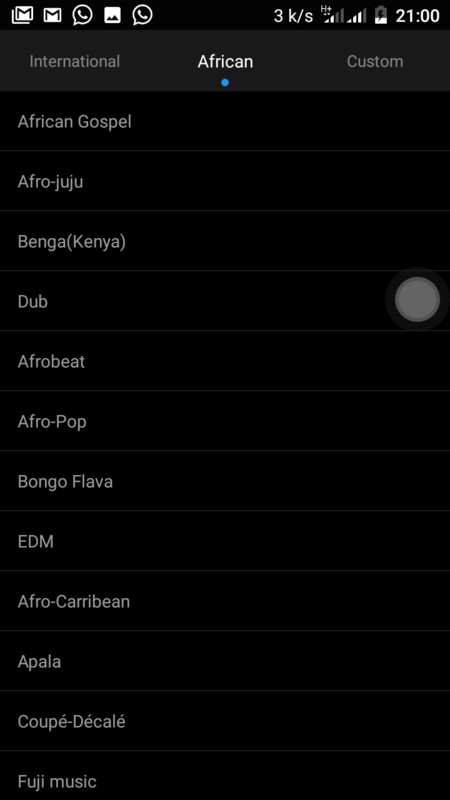 Three sections of the presets are available; first one for international ears, second, African ears and the third is personalized or customized equalizers. As for the loud speaker well, don’t expect much so you won’t get disappointed. The speaker produces sound of course, but nothing more than sound. It generally lack base and mid, and if volume is raised too high, sound output get distorted due to the Highs, plus don’t even think of touching the equalizer when using the loud speaker. 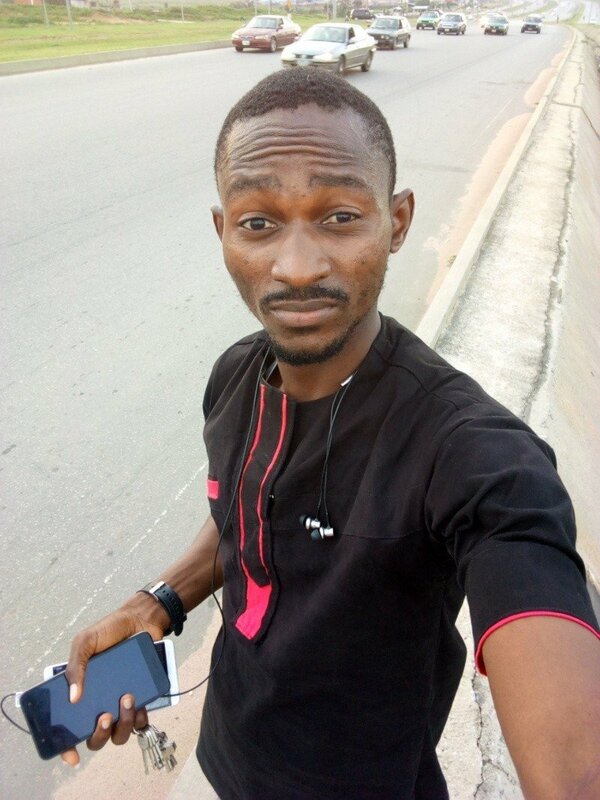 Seriously at this point, I was now beginning to miss the Infinix Hot 5 with it amazing loud dual front facing speakers. But plug in a pair of wired or wireless earpiece, and you will appreciate the boom player. Don’t count on the follow-come earpiece though – too useless for me. Meanwhile, I plugged in my Xiaomi Piston Pro HD (Piston v4), and sound output was better. So in all, multimedia can still be joyfully consumed on this device, and even via the rear loud speakers, that’s if much base is not your thing. However, I think Boom player takes little much longer to boot. I mean while that much delay on the boom logo? And plus Infinix Hot 5 spoilt me, I’m sure you know what I mean. The rear camera sensor on the Tecno Spark K7, is a 13-megapixel unit with single LED flash. Outdoor usage in bright daylight produce great images. If you set image quality to ‘best’, then you can expect a single image to amount to above 3MB due to the larger image resolution. Same applies to the video recording. By default, you can record at 720p. But if you want Full-HD, well, just go to the camera settings and you’ll be able to effect that change. 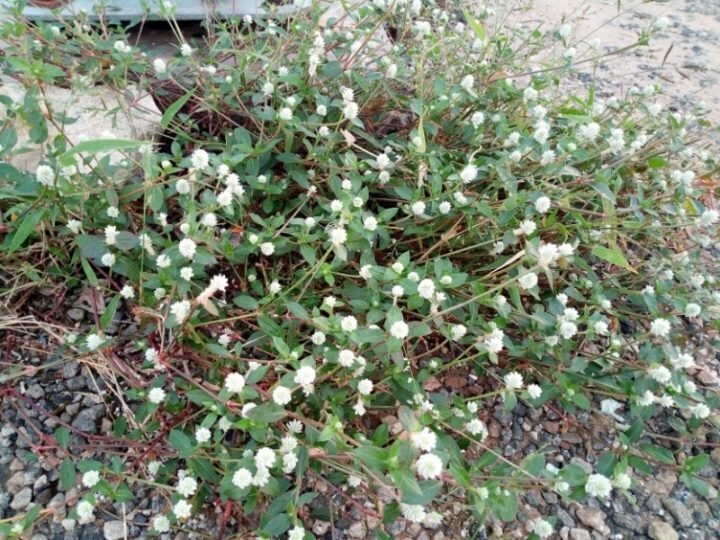 Your can see a video sample from the K7 below, recorded at 720p. 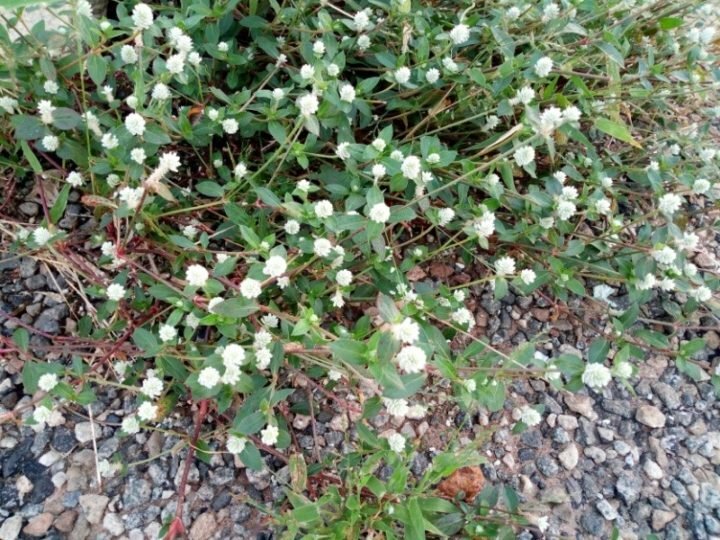 In all the Tecno K7 Camera department is not bad. However, I could not rate it much higher because the image output were kinda below my expectations, especially in low light conditions or even indoors. The rear single LED flash was a bit weak, or misfiring, resulting into a less brighter image. 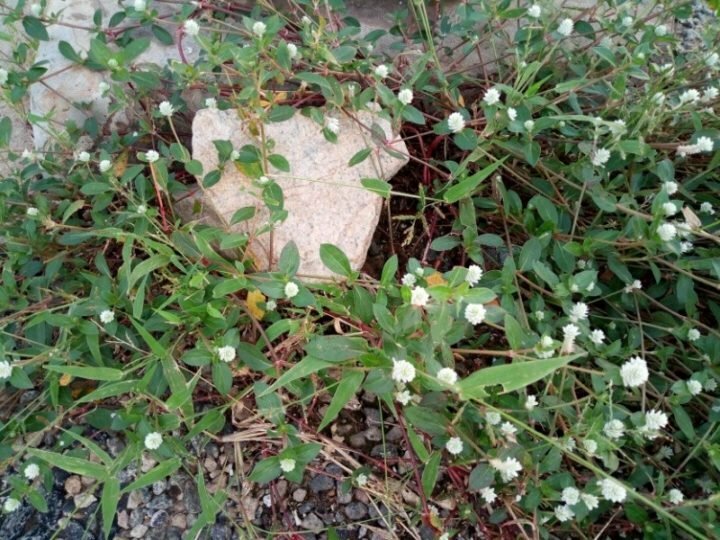 Plus the main camera sensor was not taking in much natural light as we saw on the recently reviewed Infinix Hot 5. However, note that this is very far from not good. And talking about being good, then meet the 5-megapixel front-facing camera. In my test, this camera is sharp and takes good selfies. The front-facing LED flash was also very helpful, and of course, thanks to the Mix flash (smartflash) system, which tends to add screen brightness to the front facing LED flash in order to attain brighter selfie output. In all, the K7 smartphone is got an OK camera, thanks to the impressive front-facing camera. However, we would have love to see the rear camera unit do more. Powering the Spark K7, is a non-removable 3000 mAh battery. Although the battery did not give us the performance of the Gionee Marathon M6 Plus, but I was satisfy with what I got from my test, thanks to the power efficient processor. 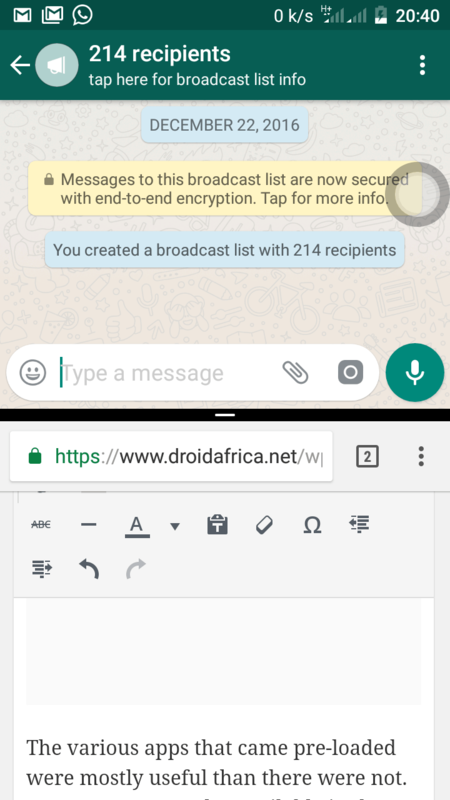 Playing a single HD video with my 3 major email accounts connected, and 3G network turned on, and full brightness, the K7 depleted from 100% to 75% after a 1 hour 37 minutes. In a more realistic and continuous usage from 100%, the Tecno Spark K7 dropped to 11% after 5 hours, 48 minutes. This is an impressive performance, considering the presence of just 3000 mAh battery. This means, if you are a moderate user with fewer screen and outdoor activities, the K7 should last you through out a day or even more. Yes, we like the battery performance, but no, we don’t like the charging performance, especially the charger itself. 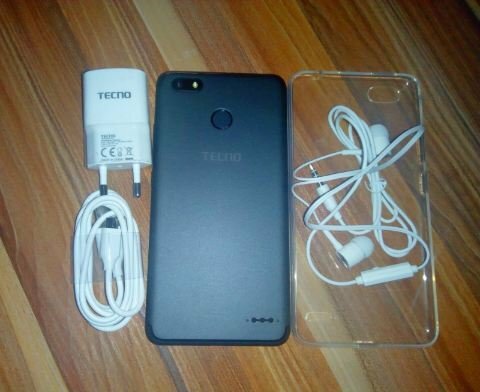 For reasons unknown to me, Tecno shipped the K7 with a 5V-1.2A charger. This charger was a bit slow during charging and get just too warm. 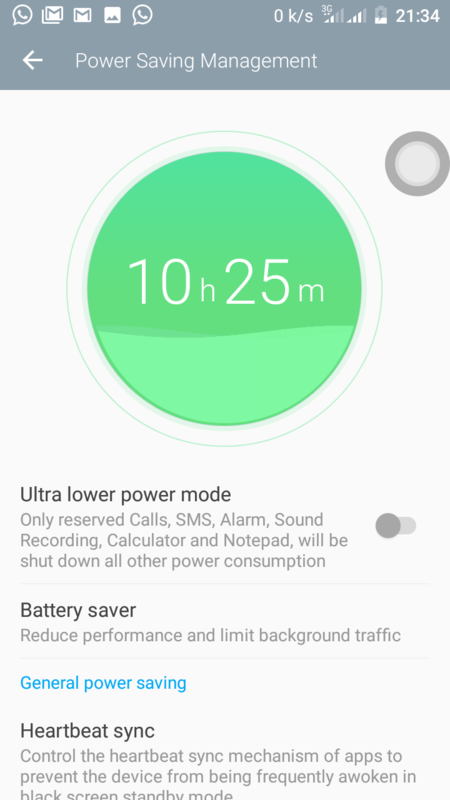 Just drop your device to charge with no screen activities, and you get the device from 0 to 100% in about 2 hours and some 20 or 30 minutes. But start using the device and after 4 hours, and your might still be under 80% (depending on usage though). Under heavy usage, the device do get warm but nothing alarming at all. And while the battery performance was not too far from our expectations, we would have prefer a high voltage charger, like a 5V-2A. Pocket Friendly, yet premium built quality. Generally good camera especially the front facing unit. 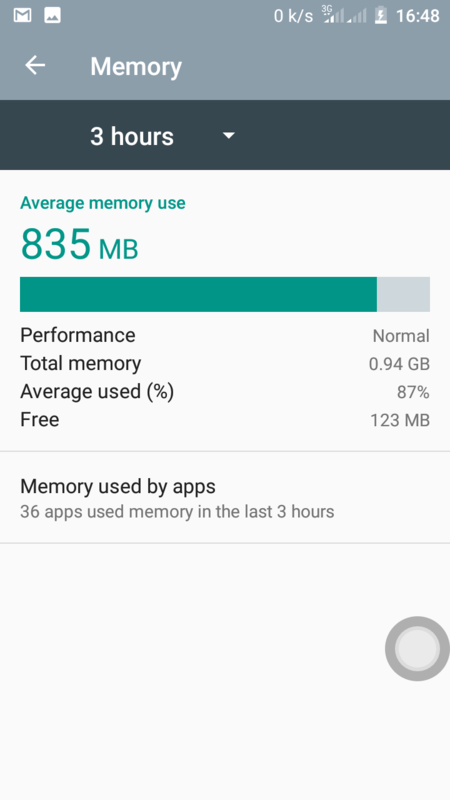 Impressive RAM Management and Overall OS. Just 1.2A charger leading to slow charging. 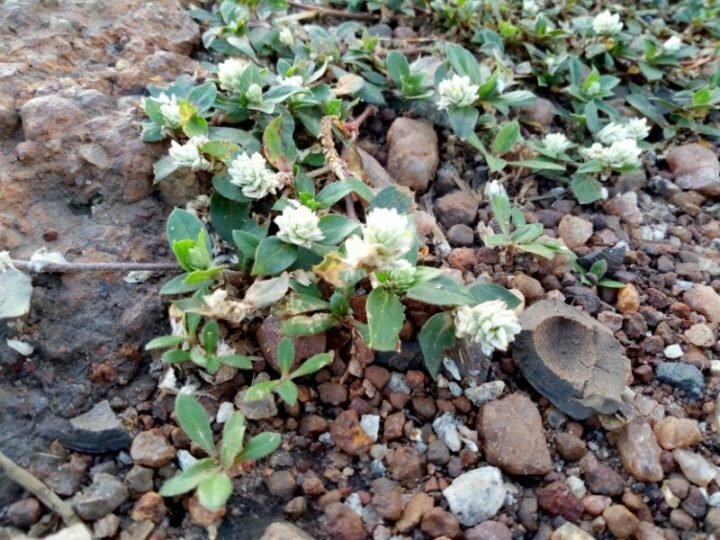 As for the Spark K7 and, despite the few imbalances, Tecno did much good to this device than what we expected, especially the overall built quality, indeed pocket friendly does not always mean crab. Thanks for reading my review of the Tecno Spark K7, and if you own this device, please do share your comments below. Yes. 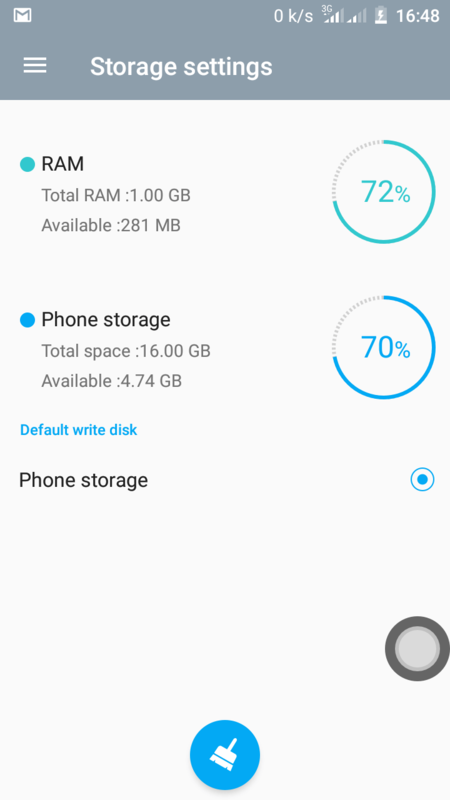 RAM is well optimized on this phone. I’m impressed with this review. Took time out to read everything. Although, we might want some improvements on this phone, it means that it’s not a bad phone overall. Detailed review. Shows everything about this device. One of the best budget phones and the camera is good. I couldn’t lay my hands on the 2 GB RAM version though, but even the 1GB version is fluid enough for it price. 1GB RAM is ok, as far as your are not a heavy graphic game fan and you are average user. True. And there’s even the 2gb RAM variant of the Spark. Very nice feed.. the tecno spark is an awesome device truly. 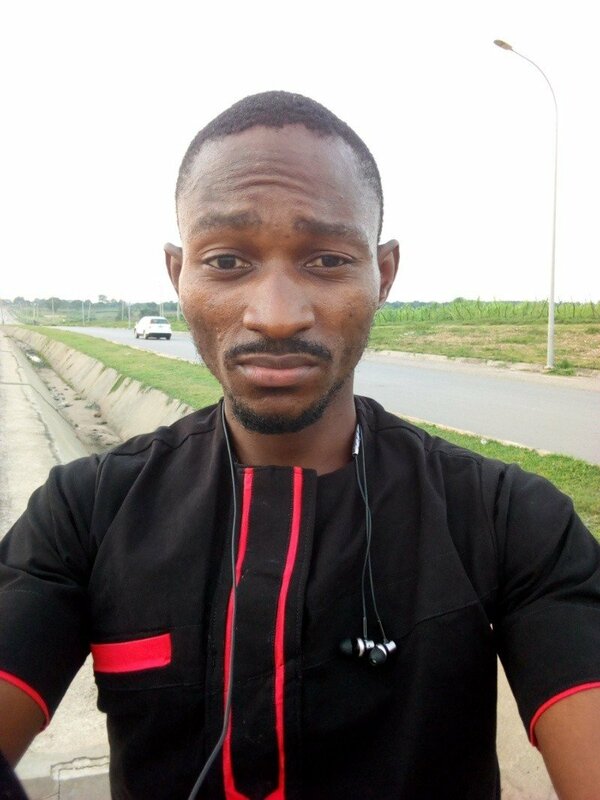 Thanks Bro… But many are complaining of the 1GB of RAM sha. Fell in love with this phone too. And I’m loving everything about it. Almost perfect. This hell of a long article…but it’s worth reading…Tecno did some good job on this device. Thanks Bro. I tried my best not to leave my readers with too many questions.